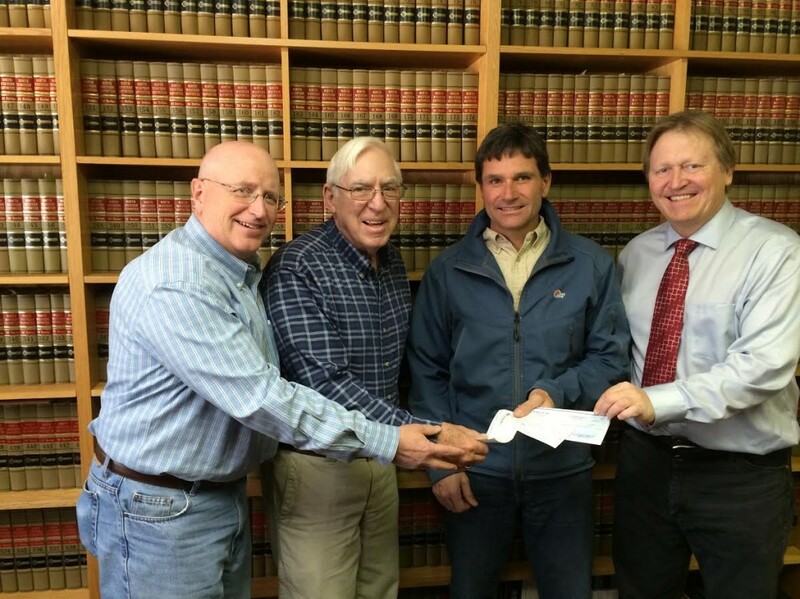 In 2013 the City of Sturgis approved the donation of funds to our organization to purchase trail equipment that would help to develop a new trail on City property-The Lions Club Park Trail. Formal trail building began last September and was completed in the spring of 2014. Well over 600 volunteer hours went into developing this first mile of trail. Based on Independent Sector Organizations hourly value of a South Dakota volunteer, that is more than $11,000 worth of community commitment! Additionally, a few community members donated money to help the organization cover its 2014 insurance cost. Dr Tom Herman, Keith Smit, and Mike Strain, Thanks! 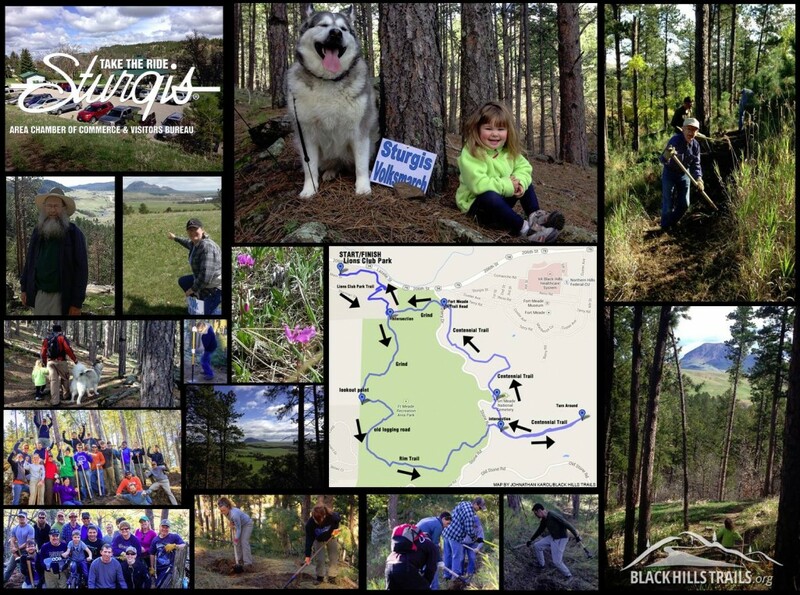 Black Hills Trails would be unable to continue in this mission without support like yours. 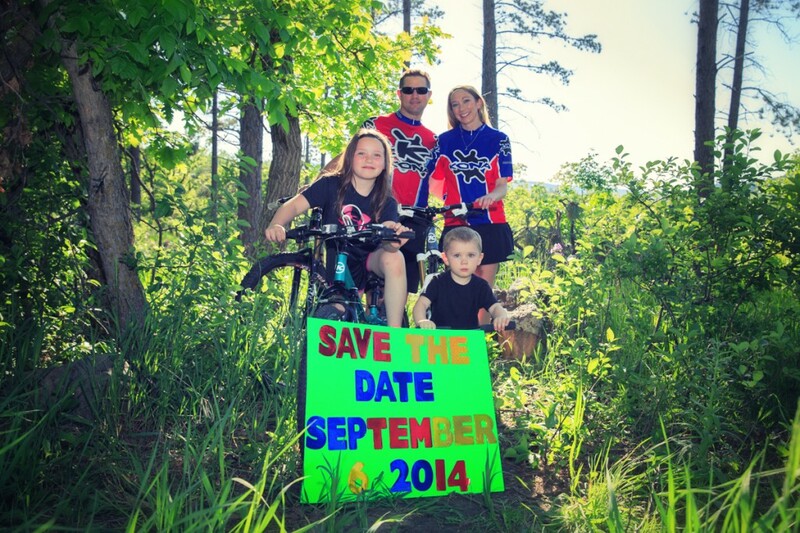 The First Fall trail Build day of 2014 was held September 27th. Fourteen volunteers showed up to help work on the Lions Club park trail. Much needed trail touch ups were taken care of, stumps and rocks removed and climbing turns refined. In addition, 300 feet of new trail was built. Black Hills Trails provided the tools and instruction, Sturgis Coffee Company provided coffee, Angie Ondriezek provided cookies. Here is a short video/time lapse of the 9-27 build day. 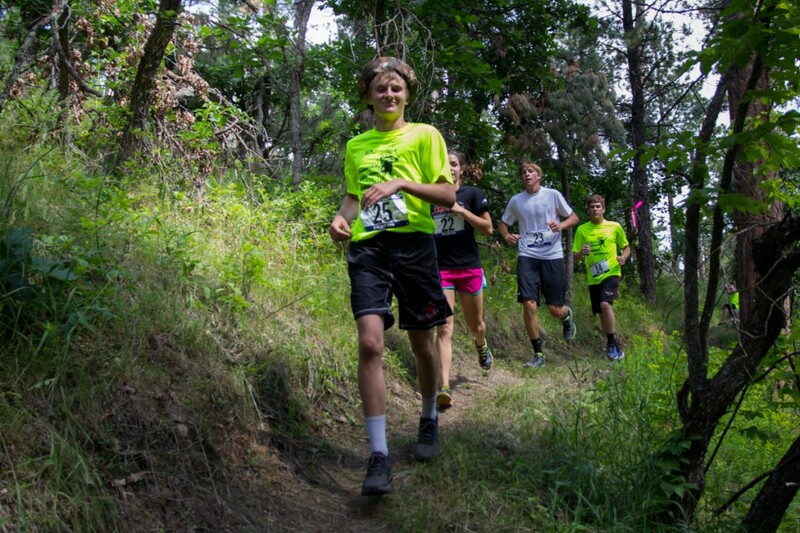 Previously our organization submitted a proposal to the Bureau of Land Management (BLM) who manages the Fort Meade Recreation Area adjacent to Sturgis to rebuild one of the existing trails on their property. This trail, currently called “The Grind”, was damaged due to logging operations in 2014. Wednesday, October 8th, the Bureau of Land Management will officially approve our organizations involvement in developing this new trail. This will be done by signing a Volunteer agreement at the BLM headquarters in Belle Fourche. The Lions Club park trail directly connects to this new “Grind” trail and the trails in conjunction will provide access between the Centennial Trail, the City of Sturgis and the Fort Meade Trail Head.